Did you know that over 25 bones are located in your feet? You’ve also got nearly 3 dozen joints down there and 100+ tendons, ligaments, and muscles. When your feet ache, the best foot massagers can help to provide immediate relief. Since there are several different designs within this category, it is important to have access to reviews to know if the massage tool can meet your needs. That way your feet can truly be happy once again. Which Products Are the Best Today? The best foot massagers must be ranked on their performance above anything else. It could be the ugliest equipment in the world, but if it makes your feet feel better, then who cares? These are the top-rated foot massagers that are currently being sold today. Which one will meet your needs? What Are the Different Types of Foot Massagers? There are several types of foot massagers that are available today. One of the most basic types is a foot roller. Shaped to fit along the sole of the foot, rollers may or may not have pressure points that are used to stimulate the foot. You just place the roller on the floor and move your foot back and forth on top of it. The issue with foot rollers is that they are rather ineffective. If someone is giving you a foot massage with one, that’s a different story. If you’re trying to give yourself a relaxing massage, there are three types of automated foot massagers that can provide a better overall result. Rolling Massagers. This type of massage tool has automated rollers that move back and forth over your foot. It moves slowly and consistently without the need to exert energy to create the necessary pressure points on the foot. Shiatsu Massagers. Instead of a roller, 4-12 points of contact are placed within the foot massager to provide a kneading action on the foot. This is the type of automatic massager that best simulates human touch and is quite effective and working muscle knots and tendon tension out of the foot. Vibrating Massagers. For simple muscle fatigue, a vibrating foot massager with heat can provide relief in just 10-20 minutes. The fourth type of foot massager provides hydrotherapy with rollers, shiatsu kneaders, or vibration with heat. This option should be considered if you have skin on your feet that is consistently dry and cracked. Some models have water jets that can be tuned to different pressures to provide unique pressure points that foster relaxation. It is important to note that a foot massager, including a hydrotherapy massager, is different that one of the best foot spas. Every option gives you the chance to experience reflexology, deep tissue, and neuromuscular massages. You have the chance to give yourself a specific sports massage as well. Some models even provide an automated Swedish foot massage, with its changes of rhythms and strokes. 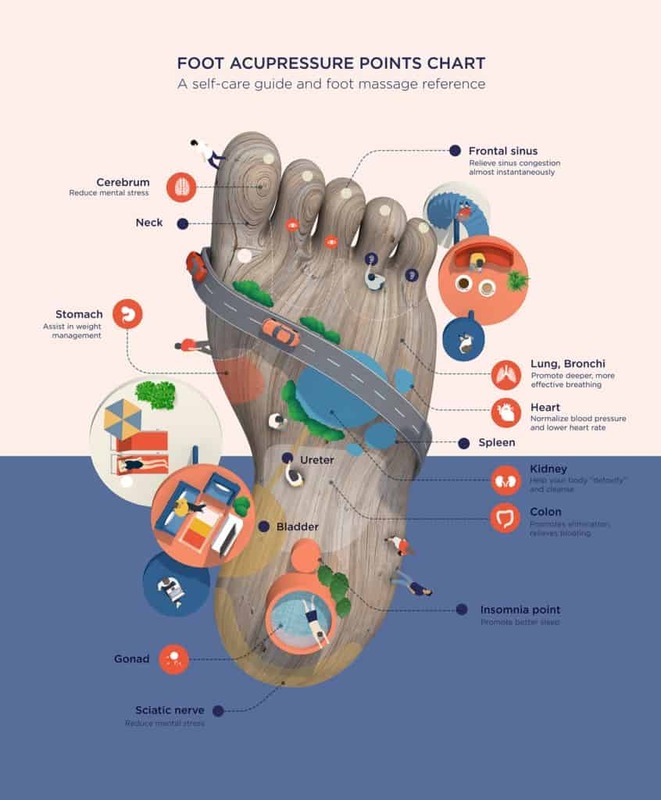 Think about where your foot experiences pain. Then match the type of massage that will ease that pain to the best foot massagers, which are available today. In doing so, you’ll be able to experience the relief you need. What Features Are Available Today? Several features are available in this category, no matter what type of foot massager you prefer. One of the most popular features is a multiple massage function. Instead of settling for just a rolling, Shiatsu, or vibrating massage, you can purchase a foot massager that will provide all three types with the press of a button. You can also expect to see these additional features available on certain massagers within this category. Touch Controls. Many models offer controls that are specifically designed to be used by your toes. That allows you to switch on a heat function or increase the speed of the massage with a quick toe press, eliminating the need to bend down or stop the massage to improve it. Speed Controls. Even if there is just one massage function, most foot massagers allow you to control the speed of the feature. Basic massagers will give you a “low” or “high” option. Premium models may have 6+ speeds that provide a variety of different massage options. Cordless Power. Cheaper foot massagers tie you to an outlet, often giving you a power cord that is 6 feet in length or shorter. Cordless foot massagers allow you to use the equipment anywhere at any time, but may need 4-8 hours to recharge the batteries of the equipment between use. Almost every foot massager today is sold with a heat option. Infrared heat is one of the best types of this feature, as it tends to distribute the heat evenly over the foot instead of concentrating it at specific pressure points. Many are also designed to be lightweight and as portable as possible, even if you are tied to the power cord. One feature to consider when reviewing product descriptions and the best foot massager reviews is how easy the product is to clean. Some can be wiped down with a little soap and warm waters. Others may need to be treated with a disinfectant. Since your feet can end up being in some nasty situations, the last thing you want to do is contaminate your new massage equipment. The best way to find the best foot massager to meet your needs is to begin listening to your feet. There are 4 different areas to consider. Do your toes and the front part of your foot hurt after wearing your shoes for more than an hour during the day? Do you feel pain in your ankles, calves, and knees after being on your feet? Does that pain sometimes radiate upward to your hip? How much discomfort do you experience when you feel pain? Can you feel obvious places of tension in your feet? The best foot massagers tend to focus on a specific area of the foot to provide treatment. Some work on the sole of the foot, but don’t provide therapy for the ankle or calf. Choose your preferred product based on the treatment area first. Then your personal health must be considered. Some individuals with pre-existing health conditions, such as diabetes, should consult their doctor before choosing a foot massager to use. Some conditions can be worsened through massage and the benefits of relaxation and stress reduction are not enough to justify the added risks. Even if you are healthy, it is prudent to seek medical attention if the pain you are experiencing in your feet persists or worsens. This could be an indication that there is a serious medical issue that needs to be addressed. Who Should Consider Purchasing a Foot Massager? If you’re on your feet a lot throughout the day, then a foot massager is a great investment to make. Over the course of an average day, an active person can easily walk 5 miles, or the equivalent of 10,000 steps. Highly active careers, such as nursing, athletics, or construction may double that activity. By giving your feet time to relax and recover, it becomes possible to avoid the soreness that inevitably arrives the next day. People with certain conditions should consider using a foot massager on a regular basis (with the permission or advice of their physician). Individuals who suffer from migraines with an average of one episode per week or more. Individuals with known circulatory problems, including high blood pressure. Individuals who struggle controlling the pain and swelling that comes from an arthritic condition. The best therapeutic feature of the modern foot massager is that it can specifically target areas of the foot to produce results. You can choose to massage the outside of your foot, your toes, or your heel so that absolute relief can be obtained. How Much Should I Budget for a Foot Massager? If you’re thinking about purchasing a new foot massager today, then you can choose from entry-level models, feature-rich models, or feature-specific models. Entry-level foot massagers will provide a basic massage experience. Some may have automation, but most will require you to run your foot over the equipment to experience benefits. Expect to pay at least $50 for this type of foot massager. If there is a specific feature that you wish to have with your foot massager, such as heat or added points of contact, then expect to pay between $100-$150 for your new equipment. An additional advantage in this category is that warranties tend to be longer and more comprehensive when compared to cheaper models. Premium foot massagers are priced above $200 without a cap on the price. This equipment is fully automated, intended for long-term use, and will work with your current lifestyle so you can enjoy all the key benefits of a foot massage. Out of all the different foot massagers that were tested, the Homedics FMS-270H did the best job in handling a case of plantar fasciitis. There is still a little discomfort present, but the overall massage is slightly lighter than other designs offer. 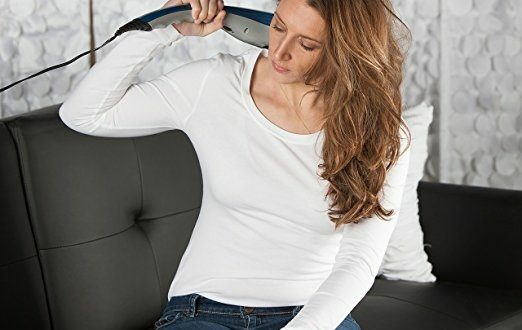 When the heat function is used, there is a noticeable amount of therapy that comes through the massager. This really helps to improve the circulatory system and loosens up the tight muscles in the foot. It can turn the foot slightly pink during a longer massage session. There is a certain “take it or leave it” mentality which comes with the Nekteck Foot Massager. The design option is nice with the multiple rotating heads, but it also unapologetically states that this product isn’t going to work for everyone. 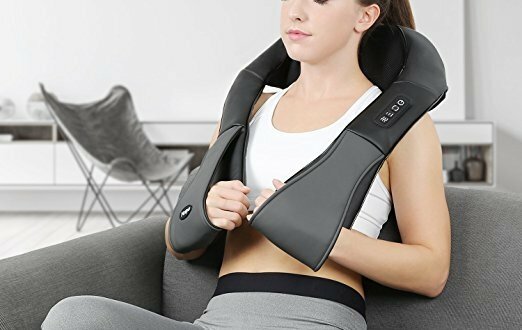 The manufacturer’s recommendation if you feel like the massage is too hard? “Put a towel between your foot and the massager.” It is, however, a foot massager that is really easy to operate. The power button is located centrally between the two foot pads, allowing the operator to turn on the equipment as they settle their feet onto it. All of the controls for this foot massager are conveniently placed on a center console, which allows you to alter your massage experience by using your toes. There are commands for changing the pressure, speed, heat, and power of the massage so a customized experience can be designed. It is quite sturdy and stays put during use. You don’t have to worry about it sliding around the floor as you’re trying to relax after a tough day. You have different pressure settings that can be used for the air pressure that is incorporated into the massage. The upper settings do tend to be a little uncomfortable when first used, so we’d recommend starting at 1 and then working your way up the comfort ladder. The air pressure then places compression on your foot, from the top to the bottom, so that the rollers that help to massage your feet are able to knead and roll the sole rather effectively. Because the fit is so snug, it almost feels like someone has a hand in there, squeezing the top of your foot as the bottom of it receives the massage. What’s nice about this particular foot massager is that other parts of the body get to share in the love. The patented figure-8 technology of this massager comes up to the calf, providing your entire lower leg with the benefits of a massage. Rollers under the feet offer a robust experience to the point of discomfort, especially on first use, but the fatigue in the feet just melts away. It doesn’t skid on the floor, but in case it does get bumped around, helpful skid protectors keep it from marking hard floors. Definitely one of the best investment options in this category. The unique design of this foot massager gives you one-part slipper, one-part open foot to provide one fantastic massage. Each foot receives its own massage, with kneading and rolling combined to provide the best possible reflexology therapy. You can target your toes, the arch of the foot, or the entire sole by adjusting the programming of the massager. It’s easy to use, easier to store, and offers a low maintenance option for those who need a little help with their feet. If you’ve ever wanted to know what it was like to have a foot massage on a waffle iron, this product comes pretty close to it. This is an electric massager, so it is open-faced and offers a foot pad with an arch bar for comfort. Each “waffle square” is a contact point that helps to stimulate circulation in the lower extremities, which allows for pain reduction to occur. It is one of the few options available in this category to handle neuropathy or diabetic-related nerve pain. Make the investment and we’re confident you’ll be pleased by the results that can be obtained. This platform-style foot massager offers six heads and 18 points of contact to provide relief in the reflex zone of the feet. There are two different speed levels, both of which provide their own relief strengths. The slower speeds do a good job of handling deep muscle issues, while the faster speeds help with acute pain that occurs from being on your feet all day. It offers a heat function, creates a Shiatsu-like massage, and the mesh material that serves as a point of contact is durable. It is definitely a strong value-purchase option. The best foot massager reviews will help you find relief, no matter what demands may be placed on your feet. Stop coping with the pain or popping painkillers and begin treating your feet with what it craves. A simple massage can provide benefits all day long and these products will help you make sure you can get those advantages in the comfort of your own home.